Victoria – BC’s Minister of State for Emergency Preparedness, the Hon. Naomi Yamamoto has issued yet another statement on back country safety after two recent avalanches near Golden BC. 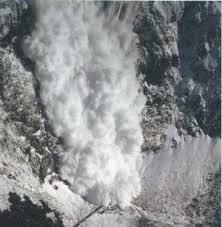 “This past weekend has brought more tragedy to our mountains because of avalanches. Our hearts break for the families of those who have lost loved ones to B.C.’s backcountry this season. “I love the outdoors. It’s what makes B.C. so remarkable. But it can be dangerous, even when you equip yourself with the proper training and tools for survival. The risk is real. Avalanche Canada’s warning is still in effect. Be the first to comment on "Another Deadly Week In The Back Country – Another Avalanche Warning"